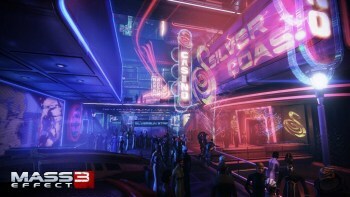 Some of BioWare's best men took a moment to show off a pair of screens from the next Mass Effect 3 DLC. Mass Effect Executive Producer Casey Hudson tossed out an interesting tweet yesterday, his first since December 9 of last year, in which he wrote, "Looks like a nice place for some R&R..." The tweet was accompanied by an image of a crowded concourse, in the midst of which stand two rather familiar-looking figures. 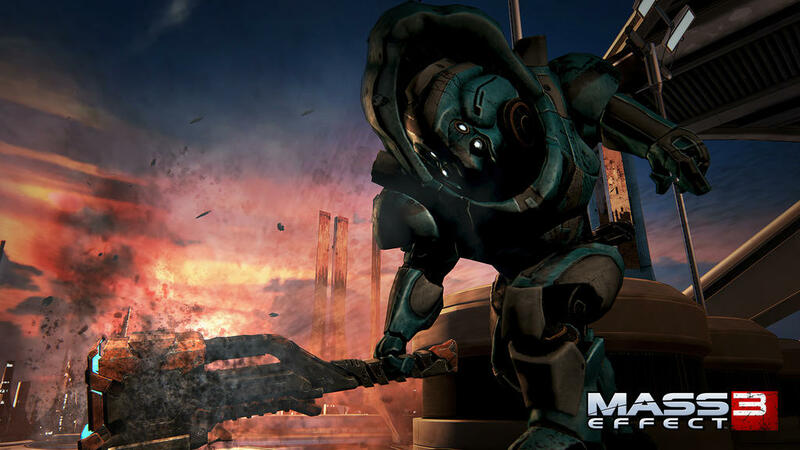 Not to be outdone, Mass Effect Producer Michael Gamble followed up with a tweet of his own just a couple minutes later, writing, "Does not look like a guy you'd want to mess with," and attaching another image, this one of a fully-armored Krogan smashing a gigantic club into the ground. "Enjoy your teasers," he added. "Two for the price of one." I know I'm going out on a limb here, but my guess is that it's some kind of Mass Effect 3 DLC, a theory given some slight degree of credence by multiple Mass Effect developers who said last month that BioWare is in fact working on new Mass Effect 3 DLC. So with that cleared up, we're left with the somewhat more existential questions of why this thing is being made and who's actually going to play it. I don't know how previous post-end-of-the-universe Mass Effect 3 DLC has performed sales-wise and BioWare is promising big things for this one, which will reportedly feature contributions from all Mass Effect writers and at least three composers, but there certainly doesn't seem to be the interest in it there once was.